Today was warm with a high in the low 60’s. Even for Alabama this is quite warm for January. Since the first of the year we have had damaging winds, days of endless rain, snow and now bright sunshine! I have tried in the photos below to capture some of these weather events. 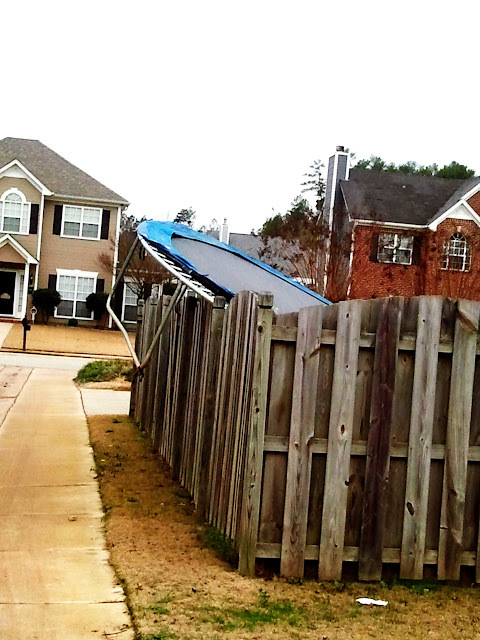 High winds earlier this month lifted my neighbors trampoline up on top of his fence! 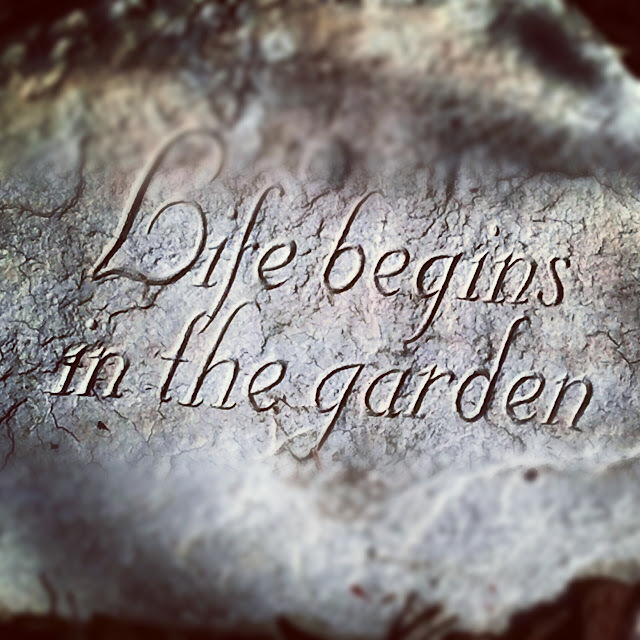 I am reminded that life began in a garden and I am inspired daily by its wonders….. 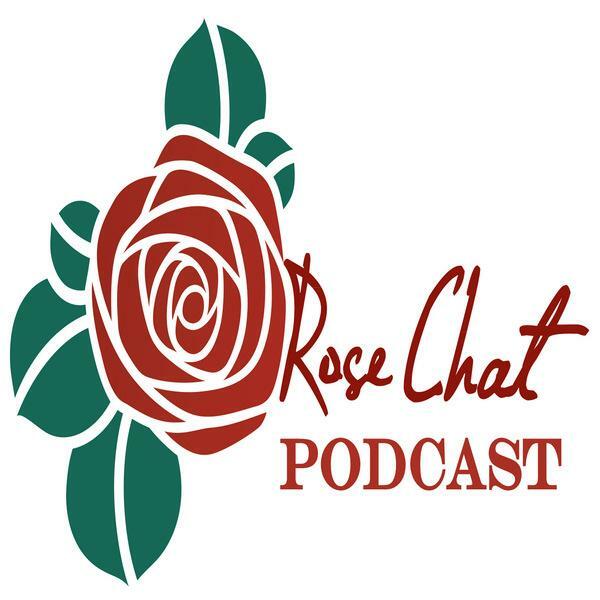 This entry was posted in #roses, Alabama, Uncategorized and tagged Alabama, Baldo Villegas Miniflora Rose, coretta scott king grandiflora rose, David Austin Rose, endless rain, English Roses, gardening, grande amore hybrid tea rose, Grow, high winds, nature, plants, rare snowfall, rose chat, roses, ross bridge, weather, winter cold, winter weather. Bookmark the permalink. such beautiful roses, love that first one! Great list of rises! Getting excited for spring here too even tho our weather is quiet different! Low tonight is going to be 18. We are expecting freezing weather by Wednesday! Brrr. Hope you did not get the freezing rain. 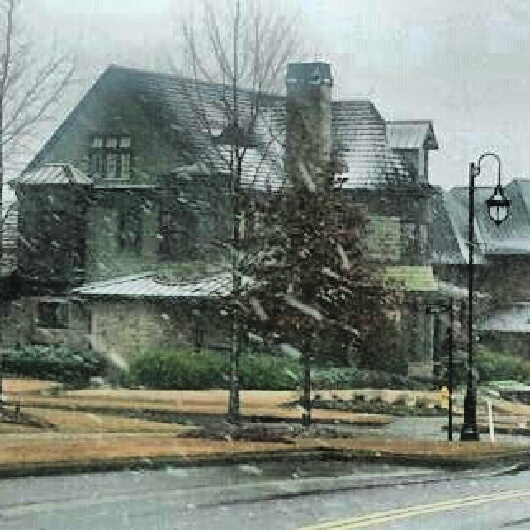 I was surprised to see the snow fall in your neck of the woods. We are under a wind advisory today. Wind chills up to 20 below!! Some great looking new roses coming down the pipeline. I’m shopping a bit myself–so many tempting varieties. I like the look of ‘Woolerton Old Hall’ as well. Wacky weather is getting to be the norm anymore I think. LOL! You sure picked out some beauties to add to your rose garden this spring Chris.